In 1920, the American League's best team, the Cleveland Indians, battled the National League's best, the Brooklyn (NY) Robins (or Dodgers) for pro baseball supremacy. One of the most interesting plays in the 1920 World Series was an unassisted triple play! 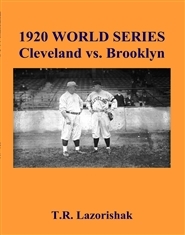 Cleveland fielded great players like Tris Speaker while Brooklyn had talented Zack Wheat. At that time, the World Series was a best-of-NINE series. In this short, illustrated summary of the 1920 World Series, the reader is invited to take a stroll back in time...when players didn't mind getting their uniforms dirty & pitchers often threw a dirty, scuffed baseball! 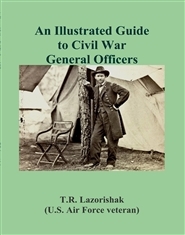 The American Civil War was a major event in American history. Thousands upon thousands of men (mostly young) died on both sides of the conflict. This is a brief, photographic journey, highlighting the commanders of the North & South. Some general officers (generals) died on the battlefield leading their men, gallantly, or, later, because of their wounds. Like the thousands of young men they commanded, many generals were caught up in a whirlwind of death & destruction. 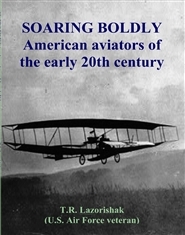 Their blood was shed just as easily as young privates & corporals caught up in battle. 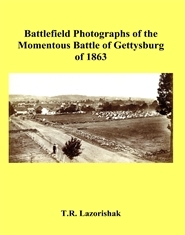 In the summer of 1863, a momentous military engagement occurred in a small, rural town in south-central Pennsylvania: Gettysburg. The Union Army, led by Gen. George Meade, defeated the Confederates/Army of Northern Virginia, commanded by Robert E. Lee. After three days of brutal fighting, thousands of soldiers died (on both sides). This is a brief sampling of battlefield photographs taken by noted war photographers of the time. In a small football stadium, an incredible game took place. It pitted talented Georgia Tech versus tiny Cumberland College (now Cumberland University) of Lebanon, Tennessee. 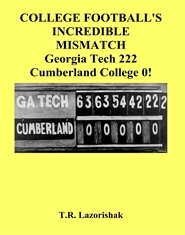 The final score: Georgia Tech, 222, Cumberland College, 0! This is a brief, illustrated summary of that momentous game of long ago...still the biggest blowout in college football history! 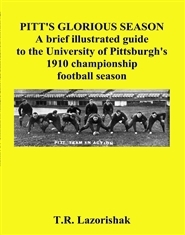 In 1910, the University of Pittsburgh fielded a talented football team. With a terrific head coach (a future war hero/Medal of Honor winner) and outstanding All-Americans like "Tex" Richards, Pitt went undefeated, held ALL its opponents scoreless and became co-national champions of college football! This is a brief, illustrated summary of that stellar team/season of long ago. John Wilkes Booth, the handsome actor & assassin of President Abe Lincoln, is surrounded by members of the Union Army's 16th New York Cavalry Regiment in a tobacco barn... 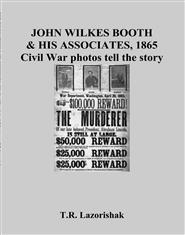 Refusing to surrender like his associate, David Herold, Booth will be shot by Sgt. Boston Corbett, a religious zealot. 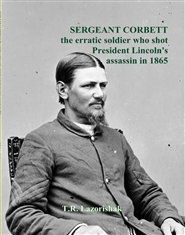 This is the short, illustrated story of Corbett's strange life, using Civil War photos of the time. 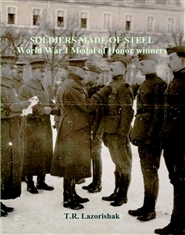 During the intense fighting in Europe during World War I, many U.S. Army soldiers performed gallantly in combat. Some went well above & beyond the call of duty. Those most deserving received America's highest honor, the Medal of Honor. Some soldiers (such as 2nd Lieutenant Albert E. Baesel of Ohio) gave all they could, their lives, while performing heroic acts. 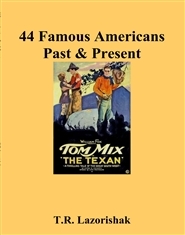 Though not a comprehensive list, some of the most noteworthy men (& their selfless acts of bravery) are highlighted here, using vintage photographs.